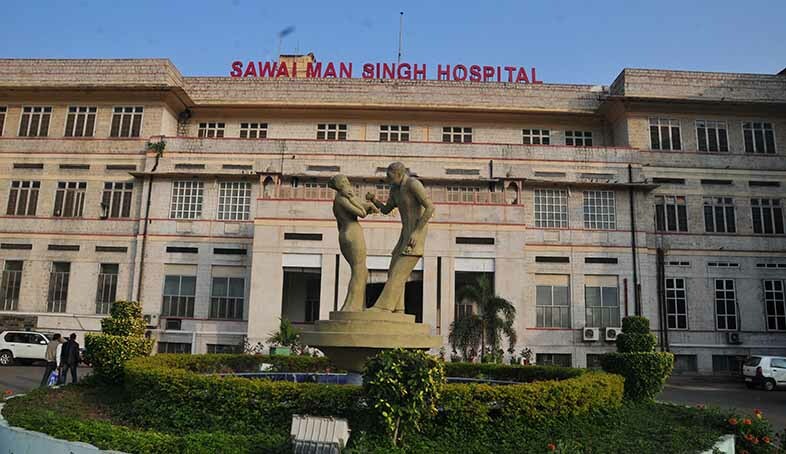 After successfully using 3D printing technology to perform neuro and cardiovascular surgeries with precision, doctors at the Jaipur’s Sawai Man Singh Hospital (SMS) will soon be using 3D printing technology to restore faces of patients who have undergone surgery for oral cancer. The technology will help patients undergoing the surgery to get the same face they had earlier. A report from The Times of India revealed that doctors from the SMS hospital are soon to send a proposal to SMS medical college to open the facility for patients diagnosed with oral cancer. Speaking to The Times of India about how 3D printing technology will help patients with oral cancer, Dr. Pawan Singhal, Professor (at the Sawai Man Singh Medical College said “We have studied how the new technology will help oral cancer patients after the surgery. During surgery, we remove the part of the mouth having cancer. Due to the removal of that part, we have to reconstruct the face. However, it is always felt that the patient should get the same face during reconstruction surgery”. In most cases of surgeries for oral cancer, the surgeons have to remove the jawbone. In cases where the tumour is too large, surgeons have to also remove a major part of flesh from the mouth. This greatly disfigures the face. Reconstruction of such a face with plastic surgery is required to reclaim the original shape of the face. Doctors claim that 3D printing technology is of great help when reconstructing the exact face post-surgery. For instance, using the 3D printing technology, doctors prepare a 3D model of the face, which they use for cosmetic surgeries. The doctors can then use this model to carry out an exact reconstruction of the face as it was before the surgery, which can be a bit difficult without the use of 3D models. The reconstruction process can be difficult without the help of 3D model because sans a 3D model, doctors have to do a lot of guesswork during the reconstruction plan, which is likely to hamper the reconstruction of the face post-surgery. When performing the reconstruction of face of patients who have undergone surgery for oral cancer, doctors harvest fibula bone from the lower leg and reshape it to fit the place where the jawbone had existed before the cancer surgery. The reshaped fibula bone then functions as a jaw. If the proposal to open the facility is accepted, it can not only simplify the surgery, but can also help doctors to carry out a near exact reconstruction of faces of patients who have undergone surgery for oral cancer. It will not be the first time that the doctors at the SMS Hospital will be using the technology. Earlier in 2016, doctors at the SMS Hospital had used the 3D printing technology to perform a neurosurgery where they created a model of neck and head junction. These models were then used by neurosurgeons to minimise the risk of surgery and to perform the surgery with precision. The doctors at the SMS hospital had also used 3D printing to convert CT scan of a patient’s heart into a 3D model that helped them to diagnose inaccessible areas of the heart and complete the treatment with precision.